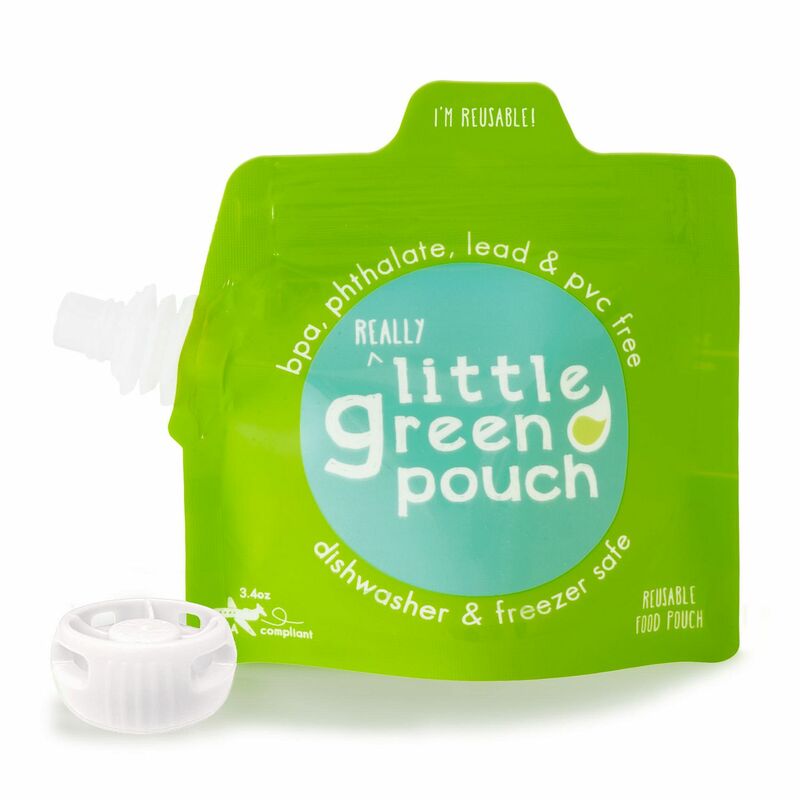 Little green pouch is a reusable food pouch for babies, toddlers, kids, and grownups. Your kids will love them, and our eco-friendly, refillable 3.4 ounce pouches save you money and reduce waste. Durable, dishwasher and freezer safe, plus free of BPA, phthalates, lead and PVC. Fill And refill these food pouches with applesauce, yogurt, homemade baby food, and healthy real food purees. These Fill-From-The-Top squeeze pouches seal securely by means of a handy press zipper. They also stand up on their own once half full, so you don't have to play a balancing game while filling them or storing them in the fridge/freezer. Great For baby food, toddler snacks, or in lunchboxes for bigger kids, our feeding pouches are perfect for little hands and, well, just plain cute.